Sega is a Japanese company first and foremost, no way around it. As I did in the previous two articles of mine, I will delve into the Japanese side of Sega, and exclusively tailor this to Japanese only Sega games that have not made into the west, as well as how those types of games evolved. Read on for a retrospective look back at some games you likely never heard or about and surely never played! As it always is with Sega, it all began in the arcades. Japan only arcade games were not that common back then. In the early days with electro mechanical games, there were none. When the first arcade video games arrived, Japanese only arcade games began to emerge with two mahjong titles, Sukeban Jansi Ryuko and Dakkochan House. There was a sports game called Warball, and a shoot em’ up named Bullet. Two Puzzle games included Columns and the relatively unknown Flash Point. And also some Coreland developed arcade titles. Aside from the Mahjong titles, these had no language barriers however. On the console side, during this period, the amount of Japan only games was bigger. Not a surprise considering how the SG-1000 is pretty much a Japan only machine, even if it had some obscure releases in New Zealand. Here is a handy list of all the games with elaborate reviews for all of them. Most of the games had versions on the Mark III, leaving much of it forgotten. However it still had some more memorable, and important games, where big name Sega developers got their start such as with Girl’s Garden and Doki Doki Penguin Land or Sega’s very first manga tie-in Golgo 13 (shooting game). Obscure fact: The last game in Japan for the SG-1000 was a Sherlock Holmes tie in called Loretta no Shouzou: Sherlock Holmes and was briefly seen in a Sega Hard Girls Episode (I really can’t be bothered when and where it cameo’d, and manually look through the episode, but it might have been the one where they were in the mobile game Chain Chronicle where a bunch of 2d stills of Sega characters appear). The first baseball game for Japan of many. The Mark III in Japan was the first system to launch worldwide. Sega had quite a few Japanese centric games going. There were manga tie in games High School! Kimengumi (an adventure game) and Tensai Bakabon (more of an action game) as well as a J-Drama tie in as a side scrolling beat em up called Sukeban Deka II: Shoujo Tekkamen Densetsu, the first couple of Japan aimed baseball games The Pro Yakyuu: Pennant Race and Nekkyuu Koushien, and again a Mahjong game called Mahjong Sengoku Jidai. The first of Sega’s visual novel/adventure type games had Phantasy Star Designer Rieko Kodama working on it. 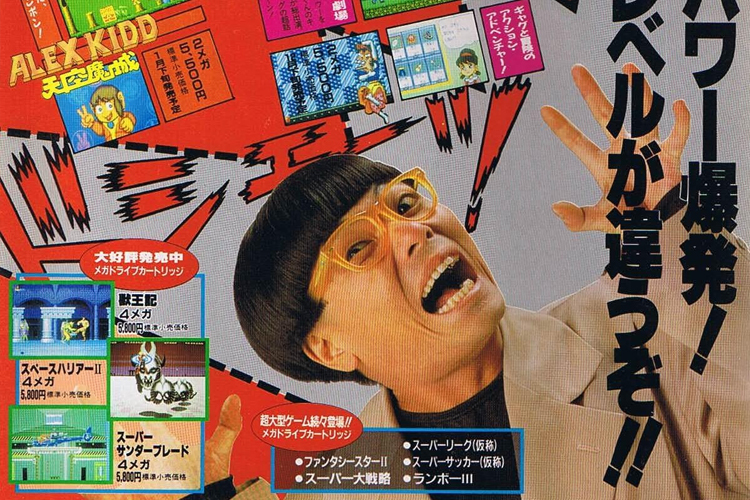 The original Japanese games were a racing game called Super Racing, a shoot em’ up called Comical Machine Gun Joe and an adventure game called Hoshi wo Sagashite…. The Mega Drive launch had two Japan only games at launch. One was the manga tie in Osomatsu-kun Hachamecha Gekijou (a platformer), and due to Sega having the Tetris license in Japan, they released a game for it. This was the 80s, and while this still seems like already quite a good amount of Japanese only games, it only expanded with the dawn of the 90s, and increasingly bigger games for Japan. Even tough the Mega Drive/Genesis lost to Nintendo’s console in Sega’s native homeland, Sega made quite a few games for the Japanese audience. 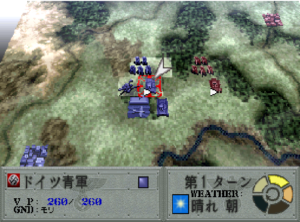 An interesting genre was strategy games, which Sega made three of, which were Bahamut Senki, Sangokushi Retsuden: Ransei no Eiyuutachi and Taiheiki. Bahamut Senki, Sega’s grand simulation strategy game featuring dragons. Exclusive RPGs were Rent-A-Hero, which was a game by Sega’s prominent AM2 arcade studio. 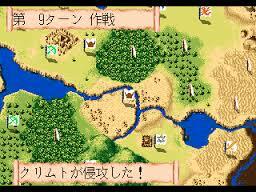 Two other games were King Colussus as well as Surging Aura, which are designed by Japanese manga illustrators. Sega also made a pure text side adventure for Phantasy Star II, Phantasy Star II Text Adventures. Internet downloads on your console in 1991? Only Sega would try that – an overseas release was planned once. 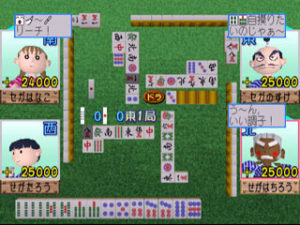 simulator called Chōkyūkai Miracle Nine. Going back to licensed manga tie-ins, two major franchises – Yu Yu Hakusho (with two games) and Doraemon – were represented, as well as two minor manga called Shura no Mon and Aa Harimanada, both fighting games. 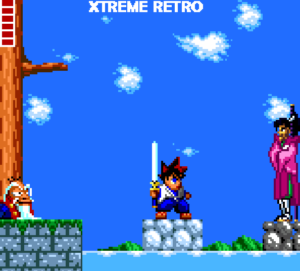 One Yu Yu Hakusho game, called YuYu Hakusho Gaiden was an adventure game. 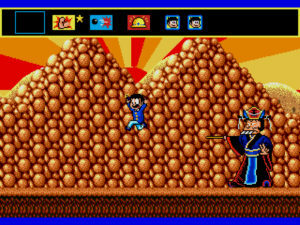 Doraemon: Yume Dorobou to 7 Nin no Gozans was a platformer. The puzzle genre gained more traction too with Puyo Puyo games, as well as arcade ports from the Puzzle & Action series of games, Ichidant-R, and Tant-R. A quiz game was made called Party Quiz Mega Q. Monster World IV was perhaps the most sought after Japanese exclusive game for the MD, it being a sequel to a franchise that has always made it way west and was reasonably popular. By complete surprise and an unprecedented move, the game was localized for PSN and XBLA in 2012 by Sega. Lastly, the Mega Modem was a Japanese exclusive peripheral for the Mega Drive to download mini-games, which when all games combined equate to the Sega Game Library. Just like the Mega Drive, the Game Gear had also many exclusive Japanese game developed for it. The first to mention when going by the alphabet – is also the most interesting game. 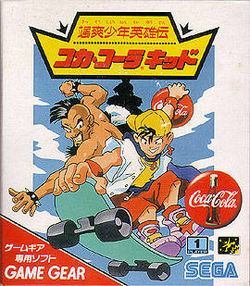 The sponsored platformer called Coca Cola Kid, made by the same developer who did the Game Gear Sonic games. 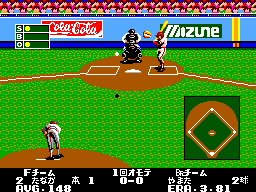 In terms of sports games there were four baseball games The Pro Yakyuu ’91, Hyper Pro Yakyuu ’92, Tatakae! Pro Yakyuu Twin League and Pro Yakyuu GG League. Also as sort of outlier, a Basketball game called Dunk Kids was made. The Game Gear also received many licensed games, oddly enough quite a few were not related to manga. 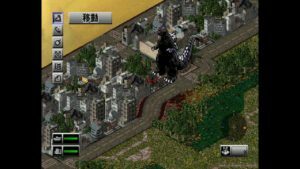 Two Doraemon games were released, Doraemon Nora no Suke no Yabou (platformer) and Doraemon Waku Waku Pocket Paradise (edutainment minigames), a Godzilla game called Godzilla Kaijuu no Daishingeki (simulator game),Hyokkori Hyoutanjima: Hyoutanjima no Daikoukai (a games base on a puppert show where you control an island and live some sort of pirate life? ), Kaitou Saint Tail (a puzzle minigame rpg hybrid), Kenyuu Densetsu Yaiba (sidescroller action game), Kishin Douji Zenki (sidescroller platformer), Magic Knight Rayearth (RPG with turn based battles), Magic Knight Rayearth 2: Making of Magic Knight (simulation/raising RPG), Ninku (a fighting game), Ninku 2: Tenkuryu-e no Michi, Ninkuu (also a fighting game) Ninkuu Gaiden: Hiroyuki Daikatsugeki, (a re-skin of Pengo), Torarete Tamaruka!? (based on a Japanese movie), and once again the franchise, YuYuHakusho, is represented with YuuYuu Hakusho: Horobishi Mono no Gyakushuu (side-scroller beat ’em up) and Yuu Yuu Hakusho II: Keikitou! Nanakyou no Tatakai (1 on 1 QTE bralwer type of thing). The puzzle games on the system were Kinetic Connection, Gamble Panic (as the name implies, this is sort of a gambling game collection). Kuni Chan no Game Tengoku were two sets of games containing multiple puzzle video games, Puzzle & Action: Tant-R, and the two Puyo Puyo games received ports to the system. Torarete Tamaruka!? (based on a Sentai movie). The Puyo franchise received three exclusive games, Nazo Puyo, Nazo Puyo 2 and Nazo Puyo Arle no Roux which had extra mission and quest modes. Pet Club: Inu Daisuki! (Dogs), Pet Club: Neko Daisuki! (Cats) were pet simulators, which I don’t know which were the first made for handheld (but Nintendo didn’t Nintendogs make until 2005), but overall it’s definitely an early example. There were also Shining Force spin-offs called Shining Force Gaiden and Shining Force Gaiden: Final Conflict. The Quiz Gear Fight! 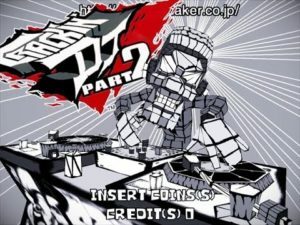 !, is what the name implies, a mobile version of Party Mega Quiz Q from the Mega Drive. Panzer Dragoon Mini is a kids version of the classic Saturn game. An original RPG was Royal Stone, which was a sequel to a game that did release in the West, Crystal Warriors. There is much debate if Sega did a half hearted at Mega CD and 32X. However the Mega CD was a product believed in by Sega, as evidenced by the amount of Japan only releases. 3 sports titles were releases, an arcade golf game port called Dynamic Country Club, two baseball games Pro Yakyuu Super League CD. 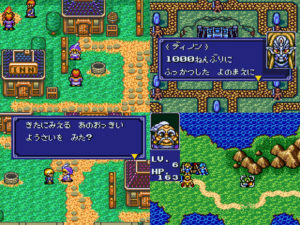 Egawa Suguru no Super League C. The Heroic Legend of Arslan (tactical RPG) and Seima Densetsu 3×3 Eyes (traditional RPG with turn-based battles) are two licenced RPG’s, and Warau Salesman is also based on a manga license and more of an adventure game. Sega’s quiz game also had a version on Sega CD called Quiz Scramble Special. So yeah, despite the often rather lackluster system sales, Sega was still very committed to its Japanese audience. This was likely due to them being such an arcade giant in Japan and having a big overall presence. Despite this, not many Japanese had a Sega console. With the Saturn, this changed. Which allowed them for a big project exclusively for Japan. That project was the Sakura Taisen series, which had three entries on the Saturn, with one being a being a spin off newsletter game. Visual novels were an obscure genre but combined with Shining Force type of gameplay made it more mass market in Japan, but sadly not enough for an overseas release. Sega released more RPG’s and visual novel type games for Japan. 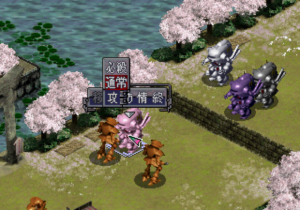 which were Advanced World War Sennen Teikoku no Koubou: Last of the Millennium, which was also a strategy RPG like Sakura Taisen, but was in complete opposite in look, theme and feel. Dragon Force II, Riglordsaga 2 and Shining Force III Scenario 2: Nerawareta Miko were sequels to games where the predecessors have made it’s way here to the West. Funky Head Boxers was a goofy boxers arcade game. Gakkou no Kaidan and Rampo were an attempt at the Horror genre just like Deep Fear was, which did release here. Just like on Game Gear, Godzilla was on board with Godzilla Rettoushinkan. Linkle Liver Story was an original action RPG. Jinzou Ningen Hakaider: Last Judgement is based on a Sentai movie. Kidou Senkan Nadesico: The Blank of 3 Years is also based on an anime, and takes the same visual novel template from Sakura Taisen. Another game by the Sakura Taisen template, this time with the SRPG elements however, was Wachenröder. Blue Seed was an RPG with turn-based combat. After some more obscure anime titles mentioned, we finally get to one that is more well known – Shinseiki Evangelion, but that basically is just an FMV game. An anime of the same critically acclaimed kind also received a game, Shoujo Kakumei Utena: Itsuka Kakumei Sareru Monogatari, which was an adventure game, also was made. 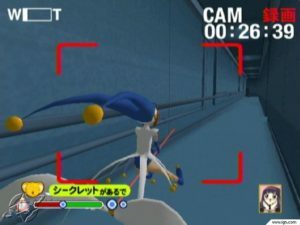 Fun fact: editing the soundtrack for the game was the first job for Jet Set Radio composer Hideki Naganuma when joining Sega. 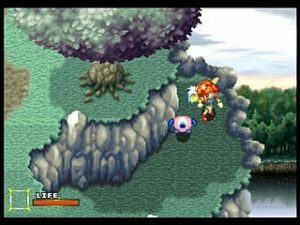 Terra Phantastica is an original RPG that mirrors Dragon Force, but from an isometric point of view. Söldnerschild is a strategy game in collaboration with Koei, also seemingly similar to Dragon Force. Omakase! Taimawaza is game I can’t find anything about. WanChai Connection is an adventure visual novel game about Chinese detectives, with live action FMV. X Japan Virtual Shock 001 is a music video on a Japanese metal band. Virtua Fighter was also a huge brand in Japan, which is why it got away with selling a portrait viewer on a disc. Of course sports games was once again part of the Sega Saturn, which one franchise debuting on it that still exists to this day. The baseball franchise for the Sega Saturn was called Greatest Nine, which got four games, starting in 1995. J.League Pro Soccer Club o Tsukurou! has been probably the most successful sports title Sega has released up to then. 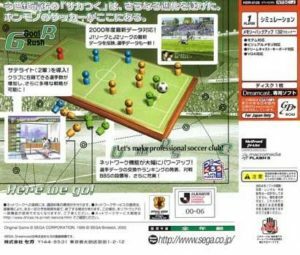 The game did not involve playing the sport directly, but rather managing the team – in a way, a Japanese Football Manager. It got a sequel on the Saturn, and it was just the start. All Japan Pro Wrestling Featuring Virtua, the wrestling take on Virtua Fighter, was exclusive to Japan, and appearently was very good, going by an import review by Jeff Gerstmann in 1995. Like on Mega Drive, two Puyo games were made available on the system. Sega also released a rhythm game, maybe intending to release more as Digital Dance Mix Vol.1 Namie Amuro. Retro Sega compilation series, Sega Ages, stayed Japanese exclusive, bar some titles. Digital Dance Mix – a proto Hatsune Miku? To summarize the Japanese exclusive Sega Saturn line up, it may would come across as strange to some that I don’t feel like Sega Japan at that point favored the Japanese audience that much more when making games. In fact the exclusive library is not much bigger than that for Mega Drive or Game Gear. I don’t think the western audience back then would have been accepting for a game like Sakura Taisen, and any other visual novel type of game. On a side note, edutainment was a venture that Sega was into since the mid 80s. First with the Sega AI Computer and then the Sega Pico. 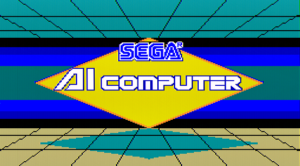 Seemingly tough, the AI Computer was more aimed at a higher age than the Sega Pico, which was aimed at young children. Sega developed countless of games for these systems. The computer was at the level of the Master System, and the Pico at the level of the Mega Drive. Of course the Pico did make it’s way overseas, tough overall the library only consisted of games that were made in America and Sonic, and served as sort of springboards for former Sega of America president Tom Kalinske to do stuff like LeapFrog later on. And since we are on computers, a little PC oddity Sega Memorial Collection also was released. But before we come to Sega’s final systems, let’s go to Japanese arcade exclusives of the 90’s. First off there was tons of puzzle and quiz type of games. 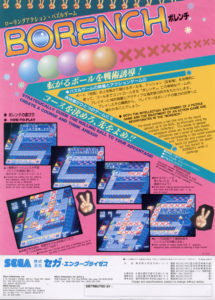 Borench is the sort of puzzle game where you guide a ball. PotoPoto is a puzzle game about falling hexagons, rather than bricks or blobs. Touryuumon is another puzzle game of the “falling objectvariety. The Puzzle & Action games, aforementioned in the Mega Drive section also released with Tant-R, Ichidant-R, Treasure Hunt and Taisen Tanto-R Sasissu!. 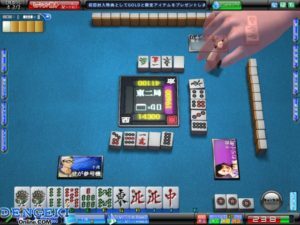 Tokoro San no MahMahjan is yet another Mahjong game. Wally wo Sagase! is the Japanese arcade version of the famous game, Where’s Wally?/Where’s Waldo?. 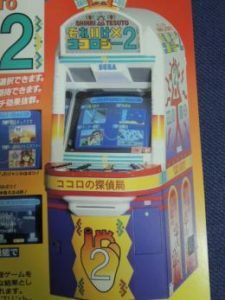 Arcade Columns, Puyo Puyo and Baku Baku Animal existed only in Japan. Hanagumi Taisen Columns, the Sakura Taisen version of Columns as well. Quiz My Homework, Quiz Mekurumeku Story, Quiz Ghost Hunter, Quiz Magical Brain, Quiz Rouka ni Tattenasai were, as the name implies, are a series of quiz games. Soreike Kokology is a game based on a popular Japanese quiz book and quiz TV show about a person’s psychology. Desert Breaker is Sega’s take on the Mercs style top down run and gun genre (this one has no language barrier). Also no language barrier had the Westone developed beat em up, Riot City. Twin Squash was a digitized whack-a-mole game. Dragon Ball Z V.R.V.S. is a curious game, due to being the only game to make use of the Sega Activator technology in arcades. Zunzunkyou no Yabou is a top down shoot em up game on foot. Ejihon Tantei Jimusho is a mystery solving game. Maru-chan de Goo! is a game where you play various mini games related to cooking ramen. The Virtual On franchise only made an appearance in international arcades with the first game. Understandable given the mecha theme. Therefore Cyber Troopers Virtual-On Oratorio Tangram was an arcade exclusive. Another Saturn game that was Japanese exclusive in arcade and console was the aforementioned Funky Head Boxers. For sports of course, there were a couple of games too. 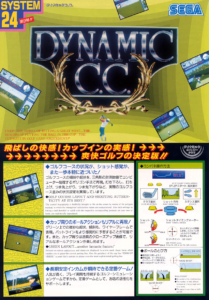 Dynamic Country Club remained exclusive to Japan on both Sega CD and Arcade. Sport Fishing is seemingly a prototype to Sega Bass Fishing. Decathlete was not on arcades in the West. 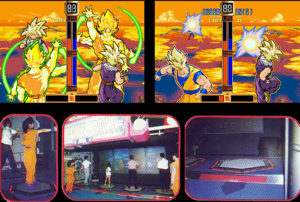 All Japan Pro Wrestling Featuring Virtua was on arcades as well. Stress Busters was a quiz game related to determining the stress level of the user. 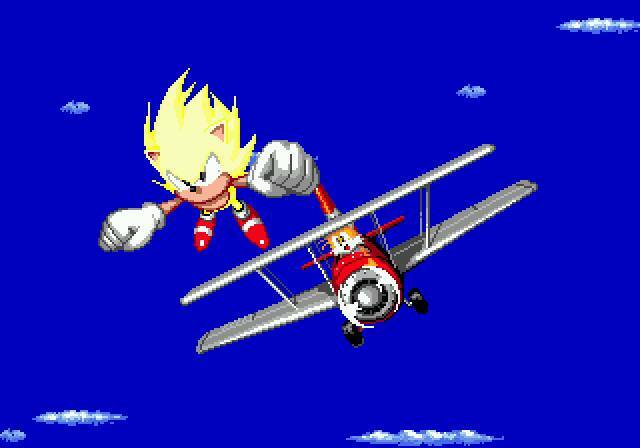 Now it is time to move to Sega’s final hardware before becoming a third party company. The Dreamcast and its corresponding NAOMI arcade hardware. Let’s continue covering arcade games. 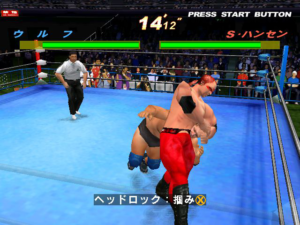 Sega made more wrestling games, which were Giant Gram All Japan Pro Wrestling 2 and Giant Gram 2000 All Japan Pro Wrestling 3: Brave Men of Glory. Puzzle/quiz type games take a large part of the library again. Sega made a new version of Tetris, called Sega Tetris. Touch De Uno! is a edutainment arcade game with visual puzzles. Quiz Aa! Megami-sama: Tatakau Tsubasa to Tomoni is a quiz game based on an anime series, so presumably it’s about quizzes about the anime itself. La Keyboard XYU was another quiz game but with a keyboard as an interface. Another game with unique interfaces were The Typing of the Dead (the arcade machine only appeared in Japan), and Inu no Osanpo. 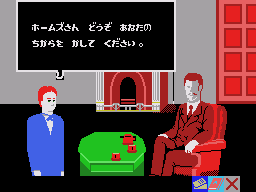 The latter game is Japanese for “Walk the Dog”, and the cabinet literally attempts to simulate that experience. Sega also got quite a tatse for Rhythm games during this period with, Mogu Rapper, Crackin’ DJ, and Shakka to Tambourine! 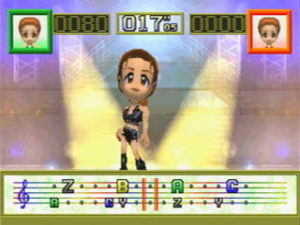 (a reskin of Samba De Amigo with J-Pop). Cyber Troopers Virtual-On Force like Oratario Tangram didn’t find it’s way in western arcades. Spikers Battle the spin off of the SpikeOut franchise did not receive a western release (tough the series is so obscure, most would assume it never released west to begin with). Lupin the 3rd: The Shooting and Lupin the 3rd: The Typing, a major Japanese property, was also made. The Maze of the Kings was a rail-shooter and the last game to be made for the NAOMI arcade port. Lastly, after a long hiatus, the Mahjong game in arcade made comback with the first in Sega’s Sega Network Taisen Mahjong MJ series, or simply MJ. Initial D Arcade Stage didn’t make its western debut until the updates. 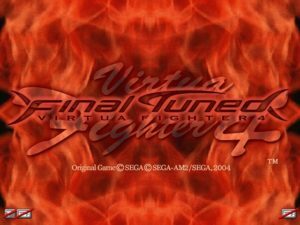 On the opposite end, the updates to Virtua Fighter 4, Virtua Fighter 4 Evolution , and beyond were never found in western arcades. And in Puyo tradition, Puyo Pop Fever was avaible in arcade format too. Finally we arrived at Sega’s last console. Given how the Dreamcast, similar to the Genesis, was much more successful in the West than in Japan, one would except less Japanese only games. Especially given how development budget only has risen. However it is not the case. The amount of region exclusives is still quite high. Let’s get the licensed games that are based on anime/manga out of the way. Akihabara Dennou-gumi Pata Pies! is seemingly some sort text heavy mini game collection. Bikkuriman 2000 Viva!Festival! seems like a board game. 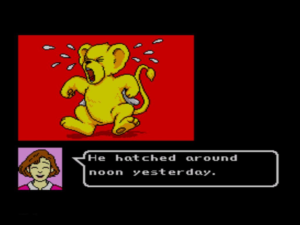 Boku Doraemon is an adventure game. Love Hina: Smile Again (and the sequel Love Hina: Totsuzen no Engage Happening) are visual novel type games. Cardcaptor Sakura: Tomoyo no Video Daisakusen is some sort of photo shoot game. Chou-Hatsumei Boy Kanipan: Bousou Robot no Nazo!? is an RPG. Quiz Aa! Megami-sama: Tatakau Tsubasa to Tomoni was mentioned earlier, and this is the console version. 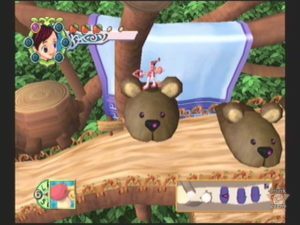 Kiteretsu Shounen’s Gangagan is the second game making use of the Dreamcast microphone (the other being Seaman. Godzilla once again made a stop with Godzilla Generations. A successful line of games were Atsumare! Guru Guru Onsen series of games, which are collection of Japanese board games. Four entries came out. A reskin of the game based on the Sakura Taisen franchise, Sakura Taisen Online, also came out. Now on to the sports games. Firstly the Tsuku series of management games had an enourmous amount of growth – for soccer they released two more games, for horse racing also two games, and then for baseball three games. They were the aforementioned two wrestling games for NAOMI, and also a golf game called Netto Golf. The other successful Saturn franchise, Sakura Taisen, also continued with three more entries. 2 mainline ones, and the aforementioned spin off. In other RPG games, Sega published a entry pf the classic rouge-like game by Chunsoft, Fushigi no Dungeon: Furai no Shiren Gaiden: Onnakenshi Asuka Kenzan!. Now to cover more original games. 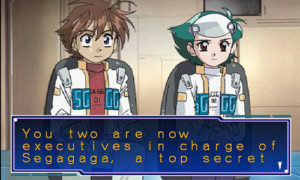 Grauen no Torikago was a visual novel adventure that released in a episodic manner. It used J-Drama live action footage. Cosmic Smash was an arcade breakout/tennis game featuring a Tron like look, like Rez did. One would assume it also stayed in Japan not only on Dreamcast but also in the arcades. But appearently it was released in european arcades. The strategy game genre makes a comeback with Hundred Swords. Also a comeback from the MegaDrive days is Rent A Hero No.1. Roommania #203 is an original game made by the division of Sega that makes music normally. It is one of the more curious games by Sega during this era, as it is life simulation of an otaku. Napple Tale: Arsia in a Daydream is a 2.5D action RPG platformer. The tribute to Yu Suzuki, Yu Suzuki Game Works, had five of his classic games, however with the exception of Power Drift, the games were already playable in Shenmue. This covers the first-party era of Sega, and while there are many different games worth playing for sure, it’s not like we missed out on too much. Sega did its very best to make each system have a good line up in the west. Sega’s conscious efforts to release as many great titles as possible worldwide beared true despite perhaps some not so great hardware decisions. Like the signature mascot, Sega’s business was going fast, and there was no time to localize every title. Not to mention the arcade market was decently sized enough in west too. In the end, Sega’s Japan only games were the usual suspects that other companies also didn’t release. 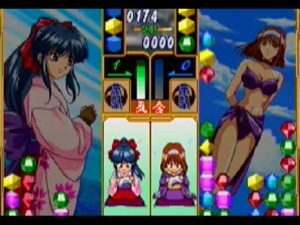 JRPG’s, manga games, visual novels, quizzes, or anything else embedded into Japanese culture, like mahjong. You can make a case of Sega actually taking more of a risk than other Japanese companies, say like releasing RPG’s like Phantasy Star and Shining Force, while Dragon Quest, Fire Emblem and Final Fantasy were outright denied. Or something weird like Seaman? Of course this isn’t just about me tough! Which games do you think should Sega have released here? Which ones do you think you would enjoy or would of been successful in general? In the next part, we take a look at Sega’s Japan only games in the third party era. On a side note, Cosmic Smash was really released in Europe in the arcades, in fact, prior to import it for the Dreamcast I tested the game in an arcade saloon at a famous sea location in Italy. Italy is big Japan stuff I hear. Good on them.